JJ is one of the leading information and technology law experts in the Philippines today. His areas of expertise are litigation, intellectual property, licensing, privacy and data security, copyright, trademark registrations and technology transactions. He has represented local and foreign clients in corporate, project finance, securities, foreign investment, technology, and telecommunications, among others. After graduating (Dean’s Medal) from the UP College of Law and placing 7th in the Bar Examinations, JJ has been continuously practicing law since 1994. In 2004, he obtained a Degree in Masters of Law LLM from Harvard Law School. He is the first lawyer member of the Philippine Internet Commerce Society (PICS) and was actively involved in the lobbying efforts for the passage of the eCommerce Act (ECA Republic Act No. 8792). He drafted its Implementing Rules and Regulations, under the supervision and control of an inter-agency task force committee co-chaired by the Department of Trade and Industry, Department of Budget and Management of the Bangko Sentral ng Pilipinas in 2000. A year later, he co-drafted the Rules on Electronic Evidence as part of the Supreme Court’s eCommerce Sub-committee. 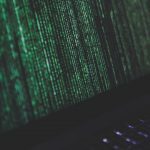 JJ is a frequent speaker in legal forums and news and current affairs programs on television, where he discusses issues involving e-commerce, cybercrime, data privacy, and intellectual property, among others. 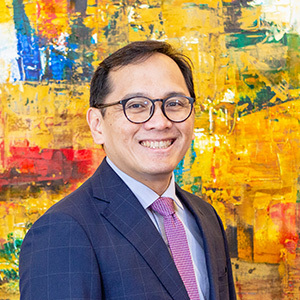 He is a Professor in the University of the Philippines College of Law where he teaches The Law on Cyberspace, Advanced Issues in Intellectual Property, Bills and Notes, Credit Transactions, Torts and Damages, and Negotiation and Mediation. He is also a Professional Lecturer at the Philippine Judicial Academy. © Copyright Disini & Disini Law Office. All Rights Reserved.